Marian Wyn-JonesBangor University has announced the appointment of Marian Wyn Jones as the new Chair of its governing body, the Council. She becomes the first woman to Chair the Council since the university was founded in 1884, and she succeeds Lord Elis-Thomas who stood down last year. She has previously served as a member of the Council, and as a result has a deep understanding of the University and the challenges facing the higher education sector. An award-winning journalist & documentary filmmaker, Marian had an extensive career at the BBC before developing a career as a Non-Executive Director at the highest level of public life, including the Snowdonia National Park Authority, Betsi Cadwaladr University Health Board where she chairs the Finance and Performance Committee, and Arts Council Wales, where she is Vice-Chair. She has also served on the governing bodies of several other charities and education establishments. Bangor University’s Vice-Chancellor, Professor John G Hughes said: “Marian appreciates the environment in which the University operates, and has a strong understanding of the Welsh language and culture. 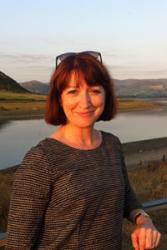 Raised in mid Wales, educated at Aberystwyth and London, she has lived in North Wales for over 30 years. Her interests include music and theatre, and she enjoys walking the Welsh countryside as well supporting the Wales football team. For the first time, the role was advertised nationally, and shortlisted candidates were interviewed by an appointments panel which included members of Council and a student representative.